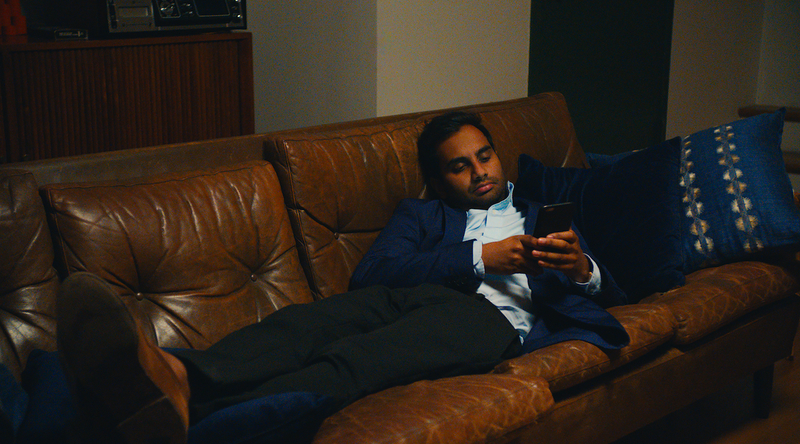 In one of the more insidious moves of the 2016 presidential election, Russian hackers may have used a secret weapon: Aziz Ansari. Recode reported on Tuesday’s Congressional meetings with representatives from Facebook, Twitter, and Google, at which a Photoshopped image of Ansari holding a sign was displayed. It read: “Save time. Avoid the line. Vote from home. Tweet ClintonKaine with the hashtag #PresidentialElection on November 8th, 2016 between 8AM and 6PM to cast your vote.” This was presumably meant to trick people into thinking they could vote via text. How could you do this to us, Aziz? What dirt do they have on you? It turns out he didn’t, of course. The original image came from Omaze, an organization that raises money for good causes by raffling off experiences with celebrities. His sign originally read “Hang with me on set!” and the money raised went to the Malala Fund. According to the Recode piece, Twitter claims that it took this particular tweet (and others like it) down, but who knows how much damage was done with the power of Aziz? You can watch the entire hearing on C-SPAN, if you’re into that sort of thing.